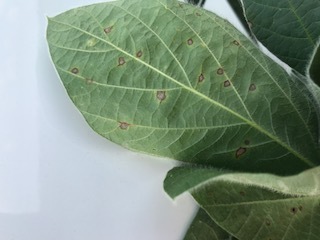 Soybeans throughout the state are maturing and consequently, many people have been asking questions about the need to make a fungicide application for suppressing frogeye leaf spot (FLS) in soybeans. 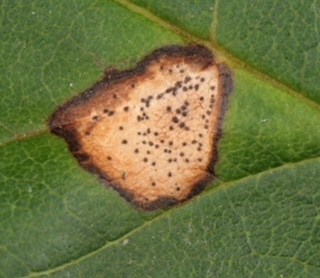 Frogeye leaf spot is caused by the fungal pathogen Cercospora sojina. 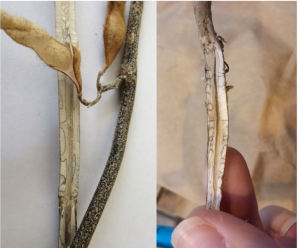 The pathogen can survive and overwinter in infested soybean residue for 2+ years, and some low levels of infestation can occur through seed. Spores are produced and often rain dispersed and spread short distances to surrounding plants and nearby fields. 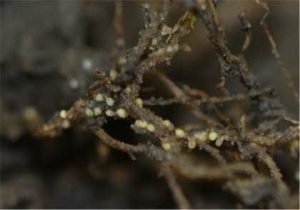 Under ideal conditions (warm and humid-warm hanging dews), symptoms can be observed 8-12 days after infection, and new spores can be produced within these lesions within 48 hours. The fungus infects most efficiently when conditions of consistent, high humidity occur. Consequently, the disease is often first observed when canopies begin to close around R1. The pathogen can more effectively colonize and develop on young, expanding foliage compared to older, established leaves. Lesions are much smaller and few lesions will develop on mature foliage. Symptoms of the disease include somewhat irregular lesions with purple boarders. Lesions are often observed in the upper canopy and may appear in layers of the canopy, which likely coincide with conducive environmental conditions during plant development. When relatively young, silvery spores can be observed on the underside of the lesions. Stems and pods can also be infected. 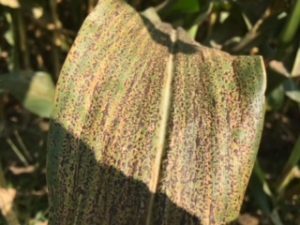 Symptoms can be confused with relatively minor diseases such as brown leaf spot, Phyllosticta leaf spot, bacterial pustule, and bacterial blight, as well as herbicide damage, viruses, and other issues. Phyllosticta is a FLS look-alike. Older lesions contain black pinhead structures within the lesions. Symptoms are most frequently observed in the lower canopy, and may be associated with leaf edges. Phyllosticta is not a concern in soybean production systems. FLS tends to perform better under warmer conditions, and therefore southern locations typically suffer from greater FLS severity and incidence. Rarely does this disease develop to levels that result in economic yield loss and therefore require intervention in Northern latitudes, but it can occur on occasion. Management is best achieved by selection of resistant soybean varieties, utilizing crop rotation, and tillage if practical. Fungicde applications can help prevent severe FLS damage. However, resistance to the group 11 (strobilurin, QoI) fungicide class is well documented in many parts of Illinois and other areas of the united states where the disease occurs frequently and fungicides are used. Consequently, strobilurins are not effective for controlling populations of C sojina resistant to this group of chemistry. When premixes containing other fungicide modes of action are applied to strobilurin-resistant populations of the fungus, suppression is achieved by these other active ingredients. Unfortunately, this potentially may allow for reduced sensitivity or resistance to develop to these other fungicide active ingredients over time, which most often belong to the group 3 (triazole, DMI) and group 7 (SDHI) modes of action. Producers have been asking about the need for fungicide applications for suppressing FLS this year, with concerns about fungicide resistance, economics, and thresholds. Unfortunately there is no easy answer to questions about when to spray or what conditions will result in the most likely return on investment. I can say that there are currently no spray thresholds for FLS as there is for many insects, and any reports of thresholds are anecdotal and not based off of replicated research. 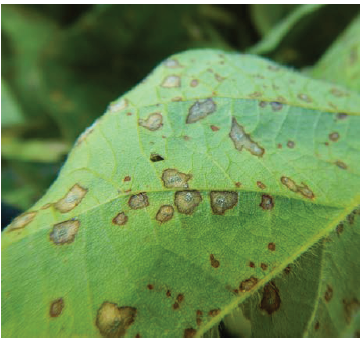 Although some spray thresholds exist for other diseases in other crops, none have been developed for FLS in soybeans. 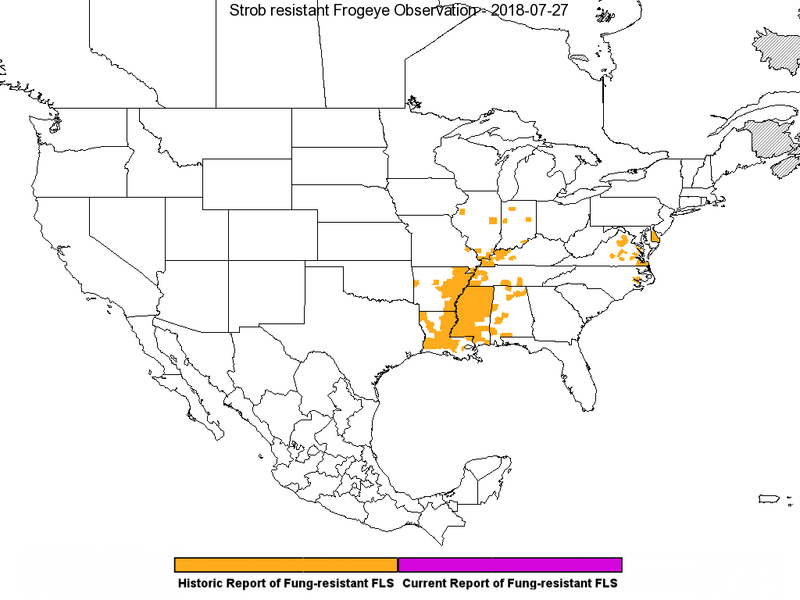 Many factors come into play when FLS disease is concerned, including inoculum potential, environment, host resistance, developmental stage of the plant and foliage, and history of fungicide resistance. Thus spraying when a certain level is detected or simply spraying when lesions are observed are not likely to result in consistent economic returns. 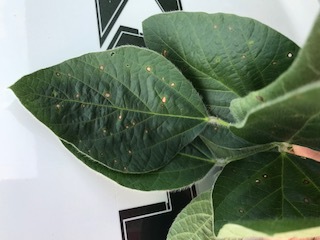 To help you with making fungicide application decisions, we have developed a disease risk calculator for foliar diseases in soybeans, which can be accessed here. 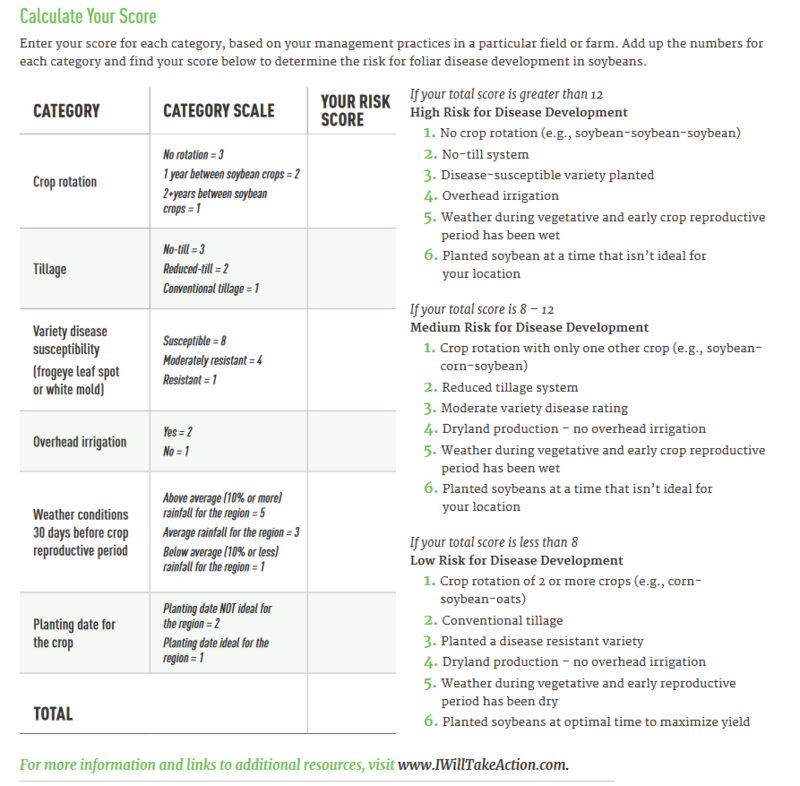 Using this calculator will help you determine your overall risk for developing FLS in your fields to a level that could be severe and economically damaging. Use this calculator to help you with making fungicide decisions for FLS in your soybeans, particularly if you are on the fence about making a spray. Remember- the presence of the pathogen does not equal a need to spray. Many factors are involved in FLS development and potential yield impacts. Too wet or cold to sample for SCN?